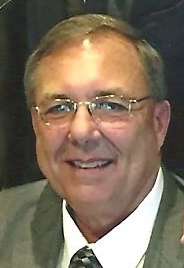 Keith G. “Skeeter” Gottschalk, 61, Hays, died Wednesday, April 10, 2019 at his home. He was born November 5, 1957 in Hays the son of Leroy and Rita (Hoffman) Gottschalk. He was a graduate of Thomas More Prep-Marian High School in the class of 1976 and attended Fort Hays State University. He was a lifelong manager of Leroy’s Shamrock in Hays. On May 7, 1983 he was united in marriage to Sandy Dreiling in Victoria. They celebrated almost 36 years of marriage. He was a member of Immaculate Heart of Mary Catholic Church, the St. Anthony’s Third Degree Knights of Columbus Council #4166, and the Bishop Cunningham Fourth Degree Knights of Columbus. Keith enjoyed yard work, gardening, travel and going on cruises, and was an avid Kansas Jayhawks, Kansas City Chiefs, and Kansas City Royals fan. He was so proud of his two sons, and enjoyed spending time with them as well as family and friends. Survivors include his wife, Sandy of the home in Hays, his parents; Leroy and Rita Gottschalk of Hays, two sons; Brandon Gottschalk of Overland Park and his girlfriend Maci Knipp, and Dylan Gottschalk of Overland Park and his girlfriend Olivia Simpson, two brothers; Kevin Gottschalk and wife Chris of Hays, and Kent Gottschalk and wife Michelle of Wichita, a nephew; Keeton Gottschalk and a niece; Kaylor Gottschalk. He was preceded in death by his mother and father-in-law; Hubert and Clemie Dreiling and a nephew; Kaden Gottschalk.